Material:Made of the high quality iron. Christmas comes but once a year.But when it comes it brings good cheer. Thinking of you and wishing you have a beautiful Christmas season. A cheery christmas and the new year hold lots of happiness for you ! Thanks for your business! Your positive feedback will be greatly appreciated! If you have any questions, please don't hesitate to contact us via email directly. 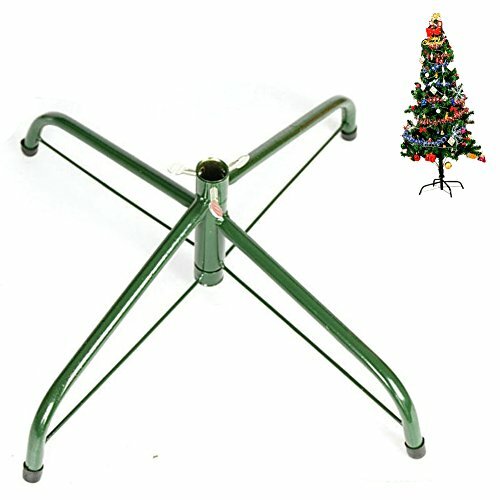 NOTICE：Suitable for artificial trees whose height less than 140cm( 4.5' ) , dia less than 1.9cm/0.7". 4 Legs fold flat for storage. Material: Made of the high quality iron.